Did you know that Uranus can get as cold as -144° Fahrenheit? Learn more about the third largest planet in our solar system on this planet printable. 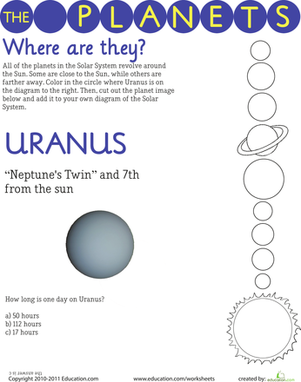 Kids are sure to enjoy the coloring and unscrambling activities they'll do after reading all about Uranus. Go here to find the rest of the series. Here's a great way to teach your kids more about our solar system. 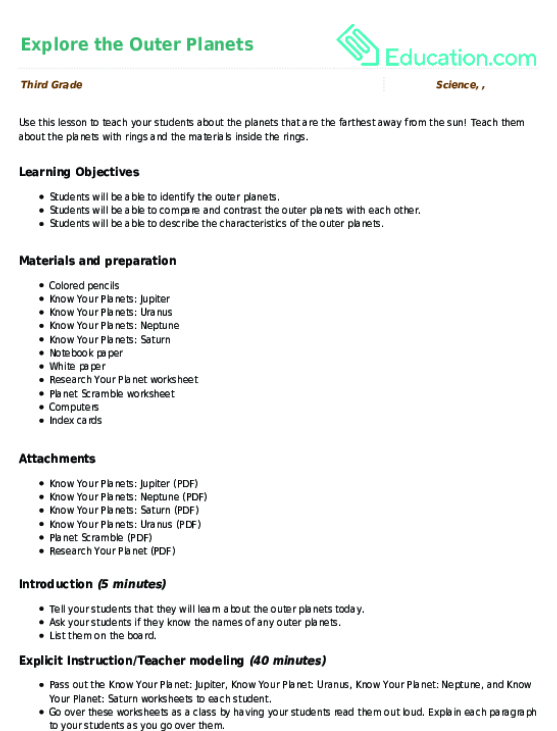 This worksheet focuses on the dwarf planet, Pluto. Do You Know the Inner Planets? 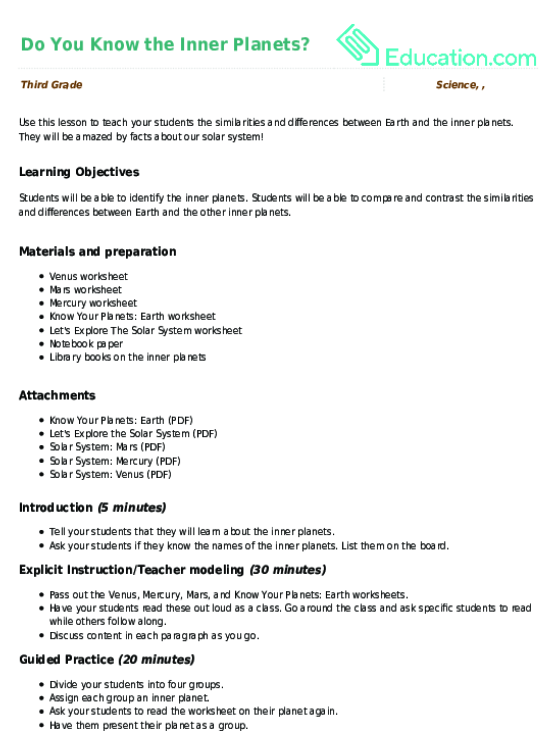 Use this lesson to teach your students the similarities and differences between Earth and the inner planets. They will be amazed by facts about our solar system! Use this lesson to teach your students about the planets that are the farthest away from the sun! Teach them about the planets with rings and the materials inside the rings.